June 1st -June 15th | 9am-12pm | Age 14years -30 years. Shop no. 70-7, Rapture Tower – Sidhi Nagar Muhana Road, Jaipur. Are you interested in acting but not quite sure where to start? No problem! This camp will introduce you to new acting techniques and stage movement skills. You will leave the week with a strong foundation in stage performance and a newfound sense of self-expression, fully ready for your final theatrical showcase for family and friends. 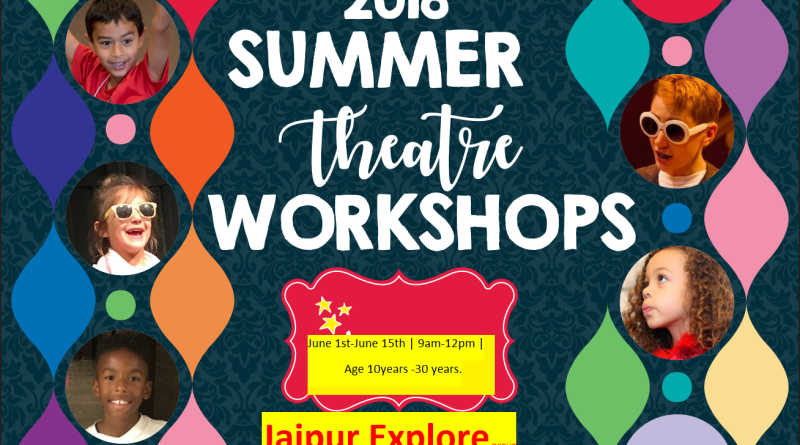 A great class to introduce the future star in your family to the world of theatre! Everyone gets a role, lines to learn, and a character to explore. During the week, you will learn the basics of acting while experiencing the joy of putting on a play from start to finish. You will weave together acting, set design, costume creation, and stage production into an engaging performance presented at the end of the week for family and friends. A great challenge for the young and experienced actor! The worlds gonna know your name!” This all-day camp will give you an in-depth look at the techniques of singing, dancing, Video Editing, and be acting used in musical theatre. Our ensemble approach nurtures collaboration, confidence, and skill development while exploring the exciting songs, dances, and scenes. Perfect for the Broadway-bound star! ← Mouthwatering Non-Vegetarian Food In Jaipur.